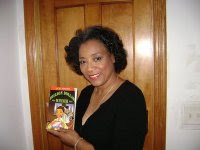 Arlene Jones - Featured Columnist Austin Weekly News: Tales of the New Post-Racial America - Yeah right! Tales of the New Post-Racial America - Yeah right! LOS ALAMITOS, Calif. (AP) — The mayor of a small Southern California city says he will resign after being criticized for sharing an e-mail picture depicting the White House lawn planted with watermelons under the title "No Easter egg hunt this year."